The Discovery Channel may have Shark Week but the poker world is firing back with Scandal Week, considering the past seven days or so have seen everything from Lock Poker being raked over the coals for shoddy withdrawal times and some retroactive policies, to the rekindling of the Ultimate Bet Super-User scandal. As well as controversy over Ultimate Poker briefly using the services of Iovation, a twitter war between a couple of former poker CEO’s, PokerStars and the Atlantic Club now waging a legal war, and former UB CEO Paul Leggett landing at Amaya Gaming. Oh, and then there is also the small matter of Phil Ivey’s £7.8 million lawsuit against Crockfords Casino! Pretty much the only thing missing from poker headlines over the past week was for someone to come forward claiming they had discovered a map to Atlantis on the back of a deck of cards, or for someone to accuse Sam Trickett of being an alien sent here to win all of our earthly money in poker games. While it looked like Lock Poker was going to dominate the headlines with their withdrawal and P2P transfer issues, the site was likely saved from pitchforks and torches when Travis Makar released some five-hours of secretly recorded audio tapes, proving many of the community’s long-held suspicions regarding what precisely occurred during the cheating itself and how the company attempted to cover it up later on. 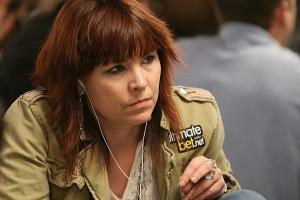 With everyone from Annie Duke to Phil Hellmuth chiming in, and with actual figures attached to victim accounts belonging to Prahlad Friedman, Trambopoline, and even Scott “who is Scott Matusow” Matusow the tapes have captivated the poker community, many of whom, like myself, thought we had heard the last of UB Poker after Black Friday. These stories were so big that the normally headline-worthy news that Ultimate Poker was using Iovation to run player checks (Iovation is owned and run by former Ultimate Bet executive Greg Pierson, who was a key figure on the released audio tapes) AND that post-Super-User UB Poker CEO Paul Leggett had landed at Amaya Gaming to run their online gaming department; other than a few sites these stories went pretty much unreported. Then there was the lawsuit and counter-claims by PokerStars and the Atlantic Club Casino after the latter pulled out of the tentative deal the two had struck that would have seen PokerStars purchase the near-bankrupt Atlantic City casino. We also reported on a Twitter battle between former Bluff CEO Eric Morris and Victory Poker CEO Dan Fleyshman last week. Finally, there was Phil Ivey’s lawsuit, which definitely grabbed some headlines, especially from mainstream press in the UK, but with everything else going on this story definitely landed on the backburner for most poker news sites, despite Crockfords fairly detailed allegations of how Ivey “cheated” to win eight-figures over a two-day session of Punto Banco.